Liam Neeson excelled in the “Taken” trilogy. Denzel Washington did it in “The Equalizer“. Keanu Reeves in “John Wick“. 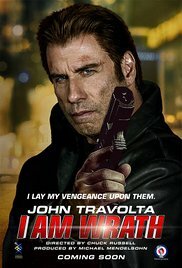 And now John Travolta can prove himself in “I am wrath“. Those four guys have the following characteristics in common. They’ve passed their 50th birthday (Neeson, Travolta and Washington even their 60th), have a respectable career behind them and for their age they still look virile enough. The four took their chance to show that they are still able to bring a physically demanding role to a successful conclusion. And isn’t such a revenge movie, full of cool action scenes and opportunities to finish off some irritating rascals, most suitable for this? I even start to believe that this is a midlife bucket-list item of older Hollywood stars. Just don’t start to exaggerate like Bruce Willis! But that’s beside the point. So, Travolta as the self-made avenging angel Stanley, who swings into action, along with his former colleague Dennis (Christopher Meloni), when his wife Vivian (Rebecca De Mornay) gets killed. The perpetrator of this fact, which happened in an underground garage, is being arrested and Stanley recognizes him during a line up. To his surprise however, the thug is released real quickly. Time to take the law into his own hands. Stanley breaks through a thin wall in his closet and reveals a well-hidden bag, full of toys for adults. Doesn’t this sound familiar? Yep. Keanu Reeves also broke up his basement floor and dug up his well concealed shooting equipment. And actually, that’s what ruined this action-packed revenge movie a bit. It certainly isn’t so bad. But it isn’t really exceptionally good either. It has been shown countless times in other movies. Even the way of firing a handgun, resembles that of John Wick. The only one who brought a bit of entertainment was Dennis, who works as a hairdresser. A beautiful barber shop as a cover up, with an arsenal of weapons in the basement which can be tested on the (probably soundproof) shooting range. Clearly his past has given him steely shinbones. He needed that when he was beating up a group of petty criminals. Apparently those two friends were part of a special unit. So you don’t want them as an enemy. Yet I found it strange that Stanley, despite his professional past, could be overpowered so easily by such an ordinary punk. But it would be unfair to say that this “straight to video” is completely rubbish and utter crap. Indeed, we’ve seen it all before and it’s similar to other revenge films. And yes, without a doubt you can make a list of much better films. But besides “Criminal Activities“, all the recent films Travolta played in are from the same level. No highlights, but plain average. And so is “I am wrath“. It offers what you expect. 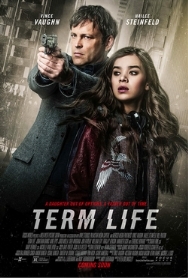 An action-packed film, filled with punch-ups and shooting. Stanley and Dennis were quite humorous as a duo sometimes. Certainly when Meloni appeared on screen, the scenes became more interesting. This is due to Travolta or Meloni? I don’t have a clue, but compared to what Meloni did in “Small Time“, it was a pleasant surprise. I hope Travolta will surprise me next year in “The life and death of John Gotti“.